A host of festive treats, fun filled activities and shopping bonanzas are in store this Christmas across our beautiful borough. Sefton has already started to buzz with merriment as thousands of residents get into the Christmas spirits, whether it be sampling wonderful Christmas ice rink, donating to the Mayor’s Toy Appeal, enjoying a day out at our leisure centres or taking advantage of late night local shopping! We’ve put together all the info you need to know to make sure you have the most wonderful time of the year! 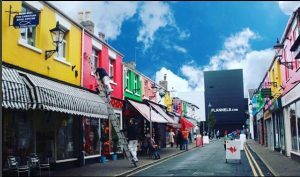 Whether it’s the hustle and bustle of South Road, the bargains of Bootle Strand, the boutiques of Lord Street, Formby’s Chapel Lane or Central Square in Maghull, Sefton is a huge shopping spree waiting to happen all year round. And it’s no different at Christmas! A number of retailers across the borough are taking part in Late Night Shopping hours on Thursday evenings in the run up to Santa’s arrival, while local businesses are well prepared for a surge in present buying, last minute scrambles and a flurry of winter buys. A host of Christmas chalets surround an incredible ice rink in the Town Hall Gardens, Southport from December 7 with yuletide treats galore! The rink compliments Southport’s other vibrant shops, stunning Christmas lights and the amazing new 60 foot digital Christmas tree. In Formby Chapel Lane is already buzzing with festive shoppers while South Road, Waterloo is the perfect place for a mouth watering meal and a warming drink! Christmas is a time for giving. 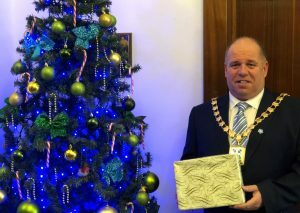 And what better way than to donate to the Sefton Mayor’s Toy Appeal? Gifts, for children of all ages, can be taken to either Bootle or Southport Town Halls or dropped off at any Sefton Council library, leisure centre or Asda in Southport and Bootle by Friday December 21. Splash World is open as usual every weekend on the run up to the festive period until December 17. 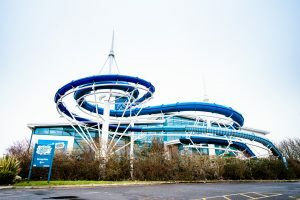 During Christmas, Leisure Centres across the borough, as well as Splash World, will have a temporary change to its opening times.